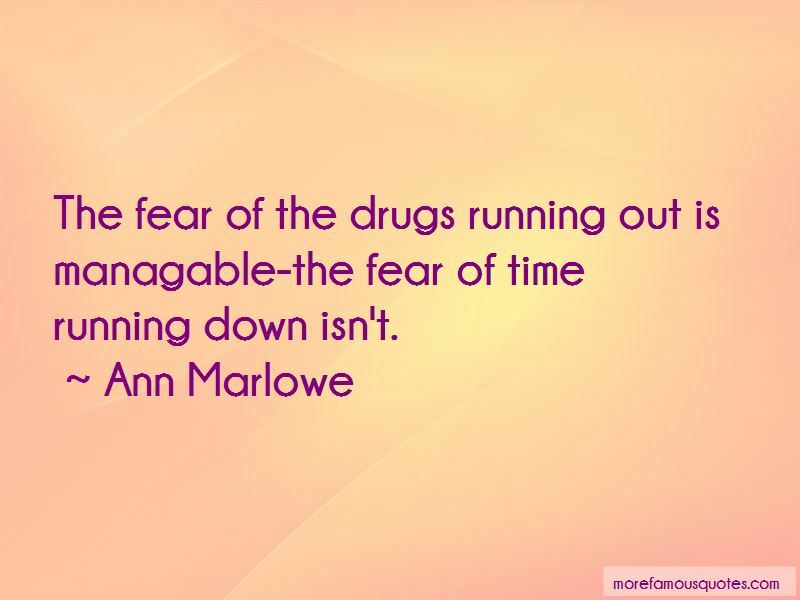 Enjoy the top 7 famous quotes, sayings and quotations by Ann Marlowe. 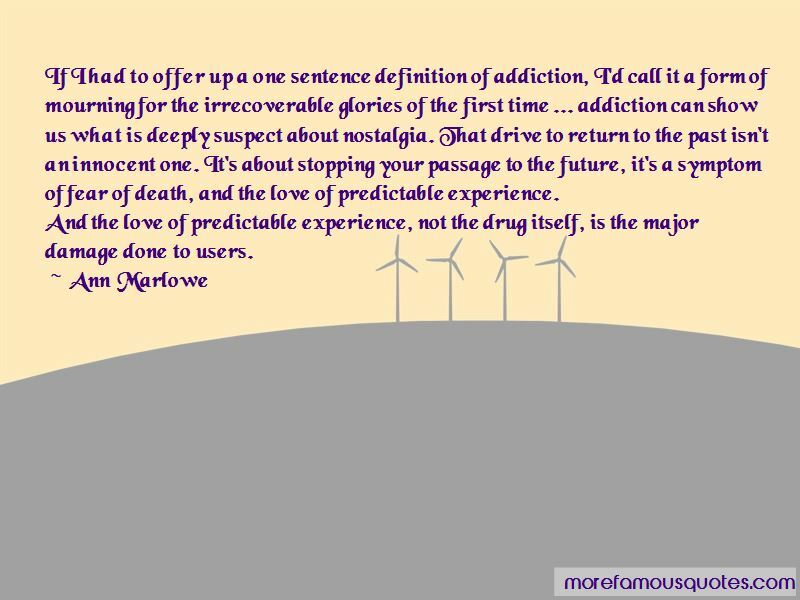 “If I had to offer up a one sentence definition of addiction, I'd call it a form of mourning for the irrecoverable glories of the first time ... addiction can show us what is deeply suspect about nostalgia. That drive to return to the past isn't an innocent one. It's about stopping your passage to the future, it's a symptom of fear of death, and the love of predictable experience. why all gods are created. God might be another story. Never has nostalgia held stronger sway; never has the belief in the redemptive possibilities of the future seemed so laughable. 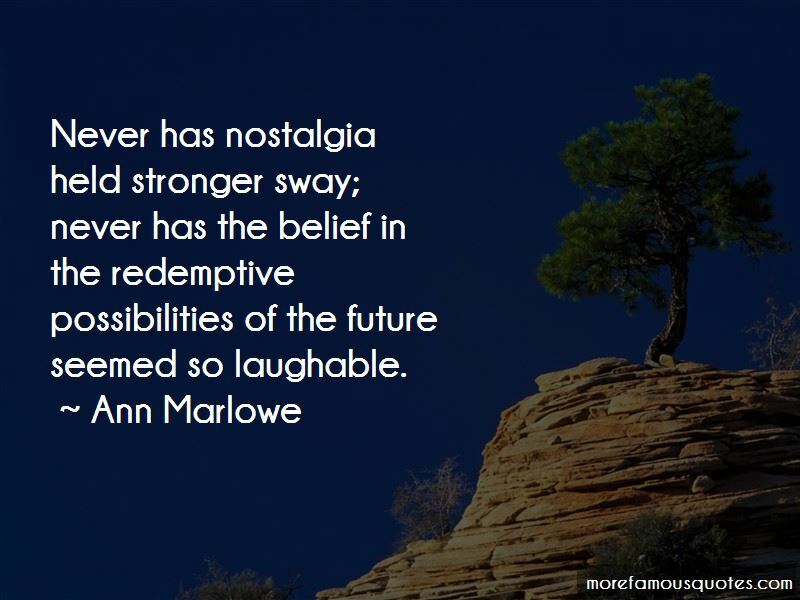 Want to see more pictures of Ann Marlowe quotes? 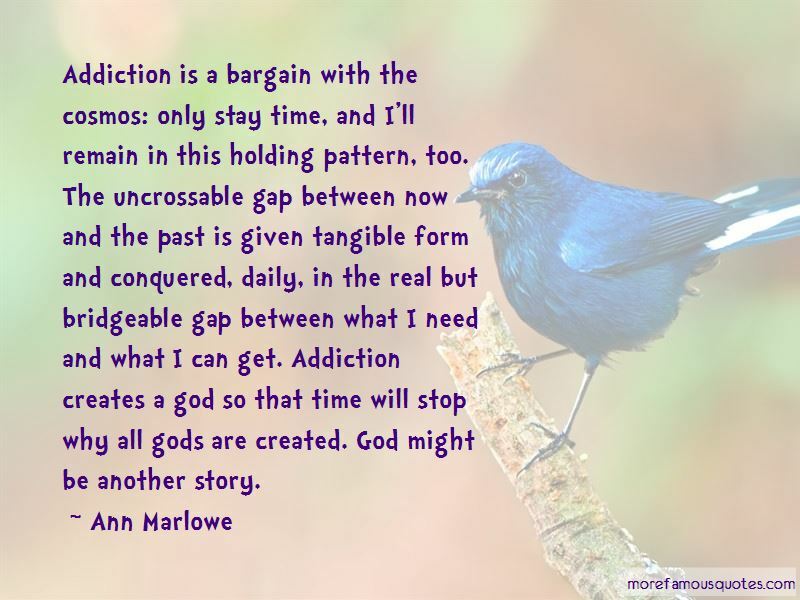 Click on image of Ann Marlowe quotes to view full size.